The Ford Escape was the No. 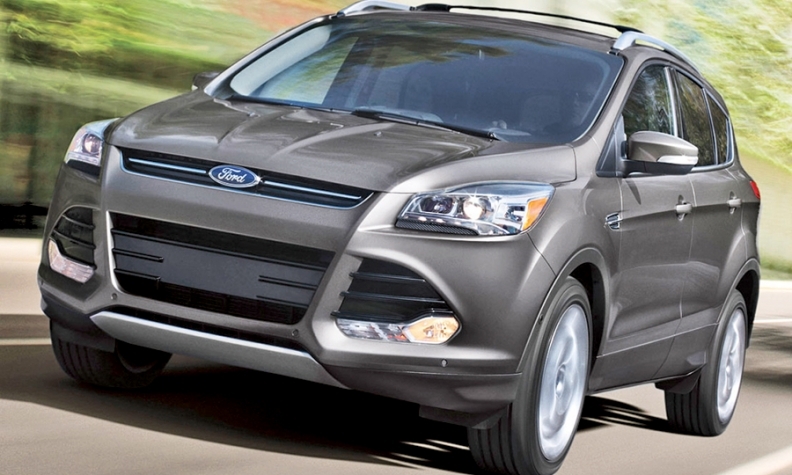 2 selling crossover in the first half of 2015. Compact crossovers, as defined by TrueCar, offer similar fuel economy but a lot more luggage volume than midsize sedans. Automakers' U.S. lineups have added crossovers since 2010 and reduced the number of sedans in response to changing consumer preferences. When she gets her new subcompact crossover, Wisner will be yet another consumer abandoning a sedan for a crossover or SUV. John Krafcik, president of TrueCar.com, said the additional cargo and passenger space in crossovers and SUVs enables consumers to do more with those vehicles, such as haul large items, than with similar-sized sedans. “One of the fundamental drivers of the American car industry is that, all other things being equal, people will always choose the most flexibility,” said Krafcik, a former executive with Ford Motor Co. and Hyundai Motor America. Consumer appetites for cross-overs and SUVs have been growing for years, and automakers have scrambled their lineups to capitalize on the shift, adding crossovers and subtracting sedans. Some of the move to crossovers and SUVs can be explained by the increased fuel economy of those vehicles, some of which — such as the Jeep Cherokee and Ford Escape — now share platforms and components with fuel-efficient cars. 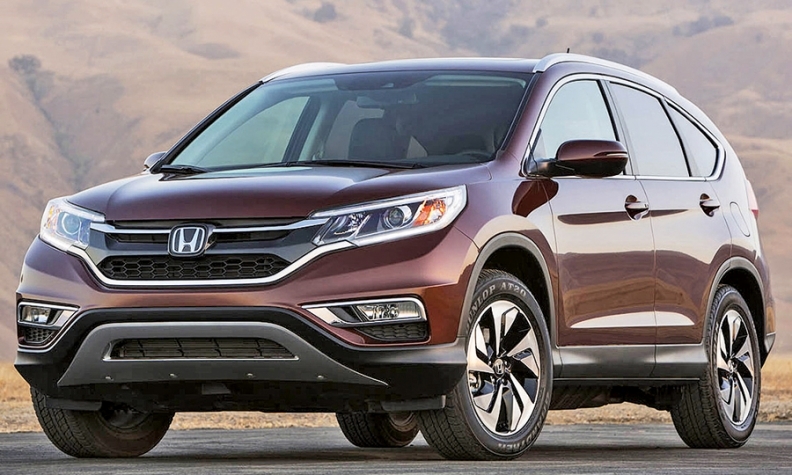 2015 Honda CR-V: 1 mpg fewer highway vs. 2.5-liter-engined Toyota Camry. “If you’re coming out of a car that is a decade old, the chances that a new crossover matches or beats your car in gas mileage is pretty good,” says Dave Sullivan, an analyst with AutoPacific. Here’s an example. In 2005, a consumer choosing a Honda CR-V crossover with a 2.4-liter engine and automatic transmission (26 mpg highway) instead of a Toyota Camry with a 2.4-liter engine and automatic transmission (31 mpg highway) would have faced a 5 mpg penalty in highway fuel economy. In 2015, choosing the CR-V (34 mpg highway) over a Camry with a 2.5-liter engine (35 mpg highway) means a penalty of just 1 mpg on the highway. Laurie McCants, managing partner at Honda of Covington, in Covington, La., said the shift from sedans to crossovers and SUVs is occurring on her new- and used-car lots. A proliferation of pickups, semitractor-trailers and bigger SUVs on the roads has made many sedans seem tiny by comparison. Manley said it’s part of what’s driving interest in the new Jeep Renegade, which debuted in the United States in March and racked up 14,431 sales through June. “Today, over 70 percent of the people looking at Renegade have never owned a Jeep before in their life,” Manley said. “There is no doubt that once you’re used to that ride height and seat position, it makes a difference psychologically. I know I feel more vulnerable” in a sedan. The shift from sedans is good news for the industry, except for automakers whose lineups are full of sedans and whose top sellers have been cars such as the Honda Accord. In the first six months of this year, U.S. Accord sales are down 16 percent from the same period of 2014. According to KBB.com, incentives for compact and midsize cars are higher than for compact and midsize SUVs and crossovers. In May, for example, the average incentive given for a Honda HR-V was just $25, while the average incentive givenfor a Jeep Renegade was $1,425, according to data compiled by KBB.com. Compare those numbers with an average incentive of $1,850 for compact and midsize cars in May. Krafcik added: “Consumers are getting what they want, and OEMs are benefiting as well."